Blogger Viktor Kerney made a short, but meaningful list during this past Halloween season pointing out that Yes, there are Black 'Final Girls' in Horror Films. 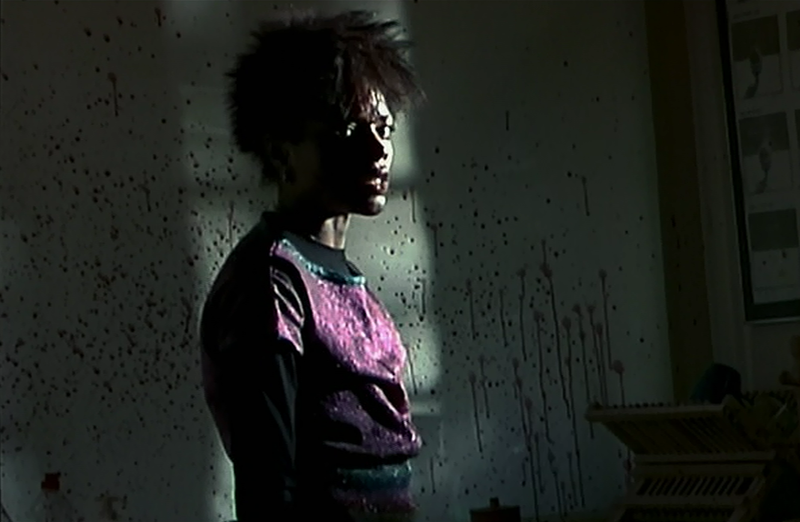 I wanted to talk a little bit about these women, with one exception because I honestly have no interest in seeing Gothika, as I too have thought about their survival skills (...or, just luck) in the context of horror films. Selena in 28 Days Later: Let's imagine the very reality in this fictional tale that Selena was at ground zero when the rage virus broke out, losing every friend and family member she's ever known. When we're introduced to her, she's a bit hardened but understands the importance of safety in numbers. Equipped with a machete, pore protectants (masks, hats, gloves), and a to-go pharmacy, Selena is ready to fight this apocalypse, even if she has to fight it alone. But hitting the harsher ordeals of human indecency that the crisis exposes along with Jim and Hannah, she gains a sense of hope that survival with people she trusts and cares for is possible again. Abby Williams in Abby: This is not high on my list of the best films from the Blaxsploitation era and hardly a blip on my radar for favorite films of all time. 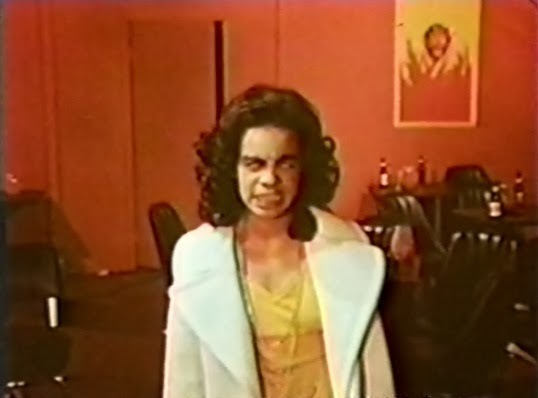 I think this film's failings are on the part of the illusion that this film is about a possessed woman who happens to be an active, Christian church member gone possessed by a demon, and you get a bulk of that, but it's William Marshall's performance as Bishop Garnet Williams that truly stands out. What the film does with Marshall's intent is respect religious practices rooted in African tradition which I wish was explored more. Abby's survival was wholly dependent upon the men in her life as her character remained underdeveloped and uninteresting. 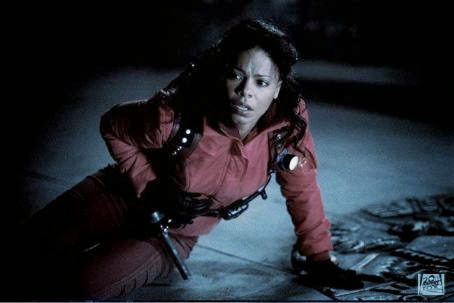 Jeryline in Demon Knight: This movie starred Jada Pinkett. My stubborn stance in refusal to put "Smith" behind Jada's surname comes from a personal and knowingly unreasonable place. Nostalgia fuels my love for this woman. I miss Peaches and Lena and to be honest, I cannot stand Will Smith. If I tell someone I'm from Philly one more time and the only horrid, small talk line they have for me is something having to do with him or Kobe Bryant, things could get ugly. And this movie is a great remedy for all that. Demon Knight was my first introduction to the Black Final Girl so I naturally watched this movie repeatedly on cable as a thirteen year old. Jeryline had some run-in's with the law that landed her in a motel hell work release that would seal her fate for several lived lifetimes. But she also was a dreamer. For such a simplistic, fun film, I adored her slight complexities and one-liners. The way she went about to defeat Billy Zane Demon at the end spoke more about his under estimation of Jeryline. Because remember, to be a Final Girl, it often requires very quick, innovative thinking. Karla Wilson in I Still Know What You Did Last Summer: The title alone makes me cringe. But boy, I was ready for this movie in 1998 at the height of Moesha and being all 16 and loving the Teen Scream Renaissance. Bought the soundtrack, first in line opening night and all, I can happily say in retrospect that I at least had the limited cinematic insight to understand that this movie was not good and certainly not better than the first. Unfortunately, there isn't much to say about Brandy's Karla because she was the vibrant Black sidekick to Jennifer Love Hewitt's mopey, chip on the shoulder Julie who the story was really about. A scene in the third act makes us believe Karla was murdered by the psychotic fisherman but alas, Karla shows up limping and holding her left rib cage at the end as the sun rises off the coast. I feel this movie did actually have decent potential if it had better writers. Look at it this way fellow millenials, we still have Scream and The Faculty.